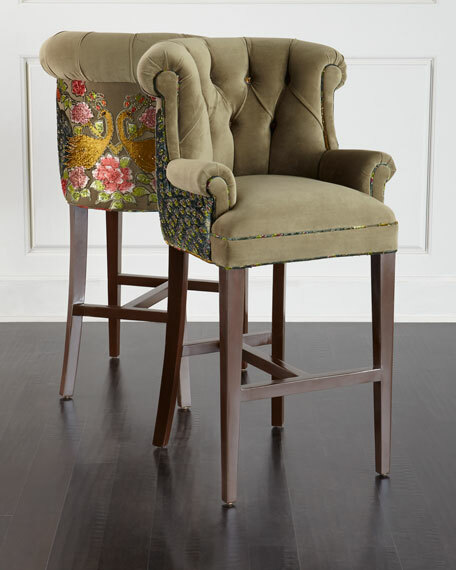 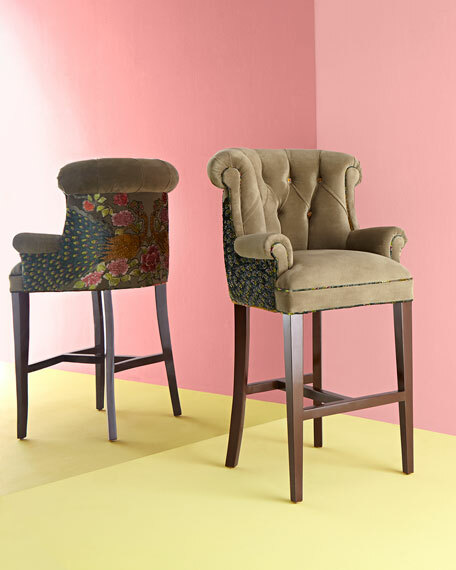 Handcrafted barstool sold individually; two shown for detail. 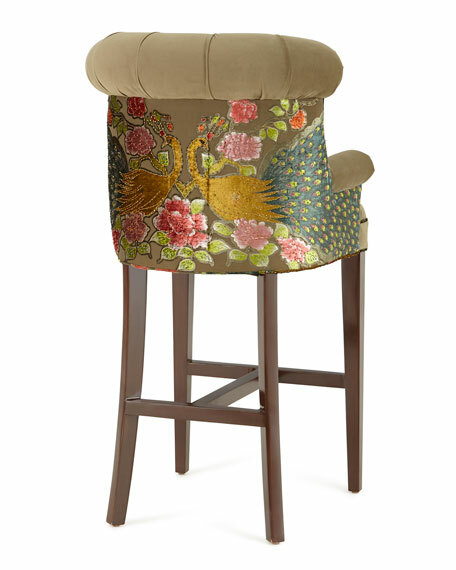 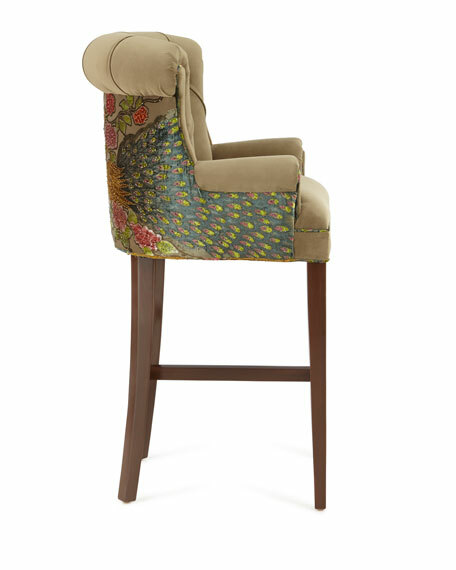 Peacock scarf upholstered onto back of stool combines sheer and velvet fabrics finished with beading. 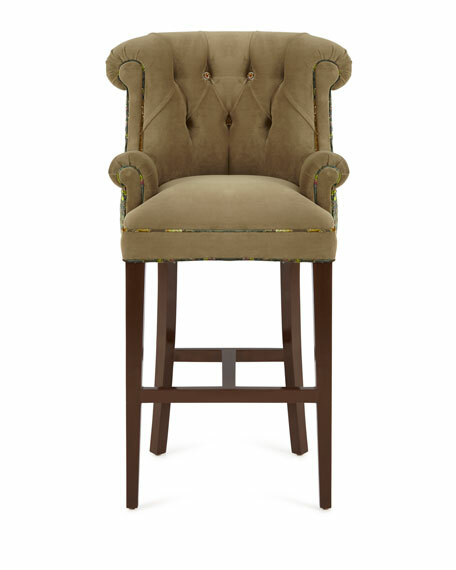 25"W x 23"D x 46"T. Seat, 15"W x 18"D x 32.5"T; arms, 35.5"T.